How does it feel to send a child off to school for the first time? What goes through a mother's mind when she watches her son or daughter join the church? take communion for the first time? get a driver's license? leave for college? Seeing their children grow and change, mothers also notice that their ways of loving their children change -- especially during times of transition. Here is a book for women who want to journal their way through these times. "Loving Changes" provides a beautiful way to collect -- or recollect -- thoughts on motherhood. This stylishly elegant volume provides nine months' worth of space to journal through the many transitions that motherhood brings. Filled with moving black-and-white photographs and quotations by and about mothers from around the world, this journal contains generous space for mothers or mothers-to-be to write and reflect on their experiences, their emotions, their daily life, their aspirations, or their passing thoughts. 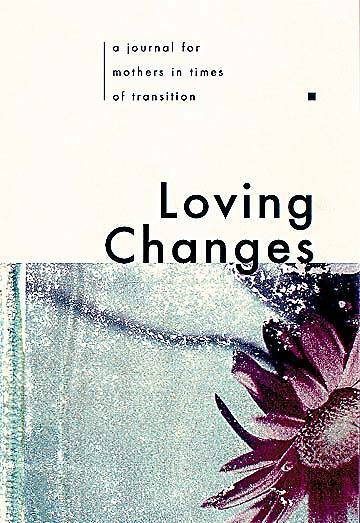 "Loving Changes" makes the perfect gift for a mother you may know who deserves to spend some time getting to know herself.